Pictured, Dr Cynthia Ray who lost her life along Michigan’s I-96 after stopping to assist in a car accident. Dr Cynthia Ray dies after stopping to help six trapped teenagers before being hit by car along Detroit’s I-96. How one physician literally gave her life away for the care of others. 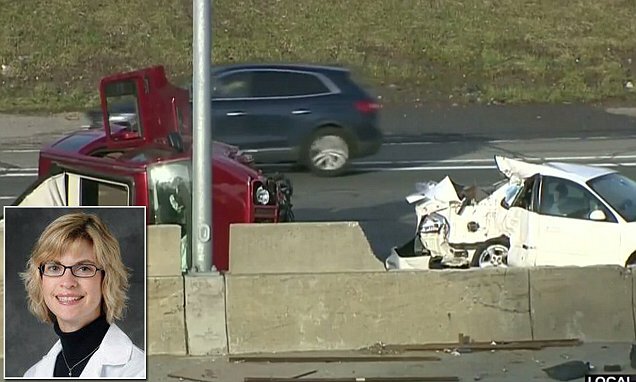 Dr Cynthia Ray a good Samaritan doctor who stopped to help six teenagers in an overturned Jeep approaching Michigan’s Davison freeway, has died after being struck by a car during the rescue. The 47 year old Detroit medic had been on her way to work at Henry Ford Hospital on Sunday when she stopped to help passengers in an accident on the I-96. After exiting her car, another driver spun out of control and hit her. The same car struck Sean English, a teen who’d also pulled over to assist the victims involved in the crash. The 17-year-old was with his parents on the way to church, but his parents were not injured in the accident, according to Click2Detroit. Ray suffered severe head trauma and underwent neurosurgery at a local hospital, with both the teen and Dr Cynthia Ray rushed to hospital. Come Wednesday evening, circa 9.30pm, the doctor died as a result of her injuries. According to the Detroit Free Press, Ray had worked at the hospital since 2005 and had specialized in interventional pulmonology. A press release from a close friend and mentor Dr. Mike Eichenhorn, described the woman as ‘a giving, generous spirit’. Read the release in part, ‘It would have been impossible for Cyndi to pass by the car that overturned because that’s the kind of person she was. She was always there to help others’. The physician grew up in Oklahoma and had followed in her father’s footsteps in pursuing a medical career. The funeral for Dr Ray will be held on Saturday at St. Kenneth Catholic Church in Plymouth. 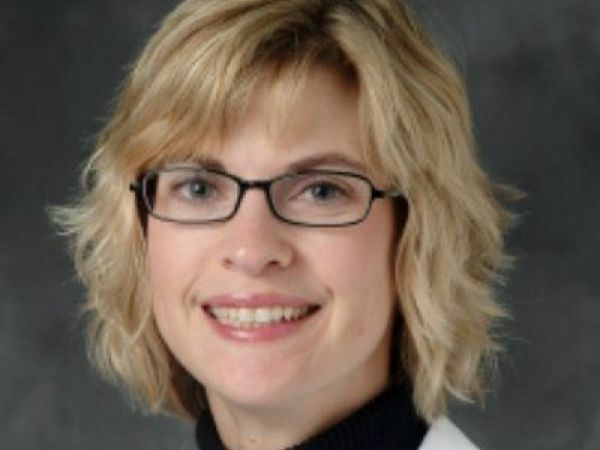 Services are slated to begin at 11 a.m.
Pictured, pulmonologist, Dr Cynthia Ray who died Wednesday night after being struck on Sunday assisting occupants of an overturned Jeep along Detroit’s I-96. 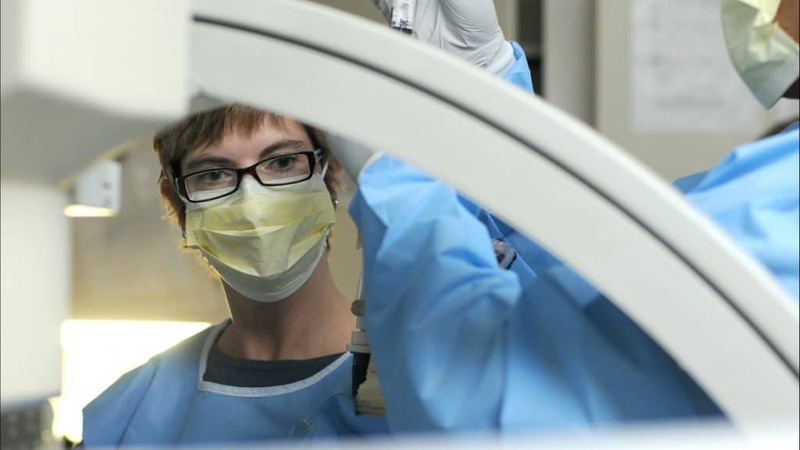 Pictured, Dr Cynthia Ray who specialized in interventional pulmonology at Detroit’s Henry Ford Hospital. A GoFundMe campaign has been launched for English, a track-and-field runner at the University of Detroit Jesuit High School. The high school senior had his foot amputated at the hospital after nearly having it severed from the impact. The teen also sustained two broken legs. The driver of the car was identified as a 17-year-old boy, Keith Martin of Southgate who’d been driving to work when he lost control of his vehicle. State police believed alcohol may have been a factor, however the teen’s parents disputed the claims saying toxicology reports show their son had not been drinking noted the dailymail. The driver is now in critical condition. The six teens who had been involved in the initial Jeep accident did not suffer any life-threatening injuries. The passengers’ ages range from 14 to 19 years old. The Henry Ford Health System has set up the ‘Dr. Cynthia D. Ray Patient Rescue Fund’ to provide financial and other assistance to patients with pulmonary diseases. The fund will cover costs related to transportation, lodging, prescription drugs and other emergency needs.